We offer accommodation types to suit everyone from Houses to flats. 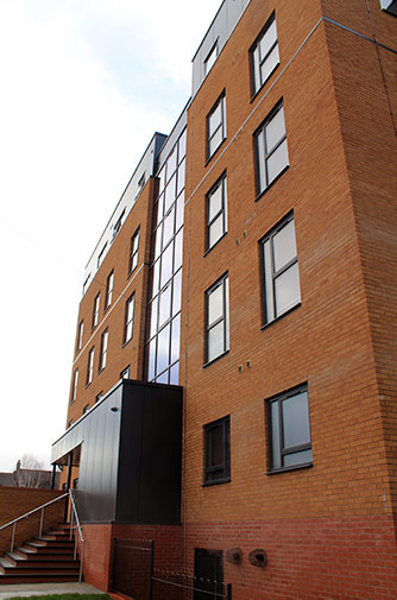 Most accommodation is very close to the university with great transport links. We offer spacious accommodation compared to our competitors, have a look at our property catalogue. Poulson House consists of studio living and London House is a combination of studios and flats with communal areas. 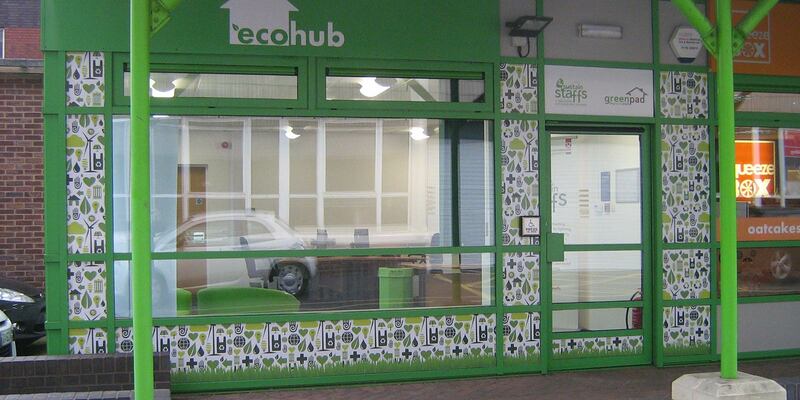 Owned and run by Staffordshire University Students’ Union, GreenPad is a free service for students to secure good quality and affordable accommodation. 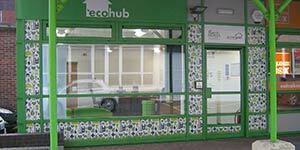 GreenPad specialises in providing accommodation perfect for the student customer. All our properties are checked by our dedicated GreenPad team to make sure they meet the highest standards. Better yet, using our service is completely free to students. Our Stoke campus sits just a mile from the City Centre, right next to the train station. Also known as “the Potteries,”. Search for Students’ Union approved properties safe in the knowledge we check all our houses before advertising them. EcoHub, found around the side of Squeeze Box. If you would like to get in touch use our contact form below. Our exclusive access to the student market means we can find you the right students for your property. Staffordshire University isn’t just a great place to study, it’s a great place to live too. 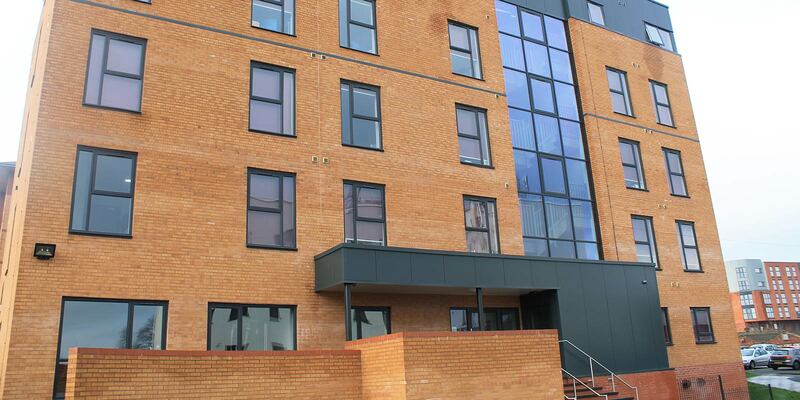 We have a wide selection of options available, from London House and Poulson House, our modern halls of residence exclusively managed by GreenPad. Poulson House consists of studio living and London House is a combination of studios and flats with communal areas. We also have some amazing houses from 2-8 bedrooms. All of our properties and tenancy agreements are also inspected by our experienced team to make sure you get the fairest deal. As we’re called GreenPad it means we also encourage our landlords to create homes that are not only good quality, but good for the environment too. With 60 timber lodges housing amazing Shops, Cafes and Restaurants and a lovely friendly village atmosphere, you will love our unique shopping experience. over 40 famous name stores offering up to 60% off, so you'll find a fantastic range of men's, women's and children's fashions and footwear plus gifts. 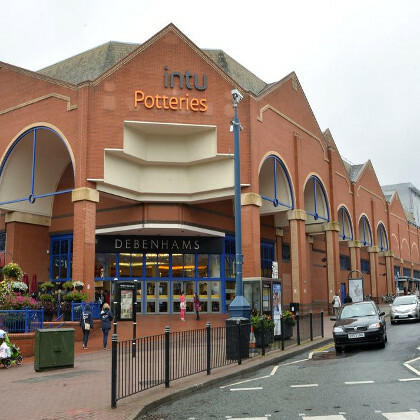 Located in the heart of Stoke-on-Trent, intu Potteries is the largest shopping centre in Staffordshire and South Cheshire boasting big names including Primark, Next, Debenhams, Starbucks. 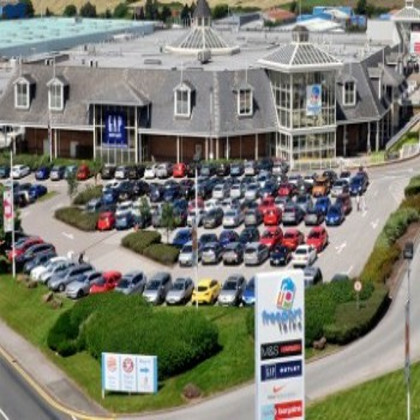 Shopping retail park with names such as Next, Boots, JD Sports, Argos, Mothercare, New Look, B&Q, River Island,Pizza Hut and Frankie & Benny's. 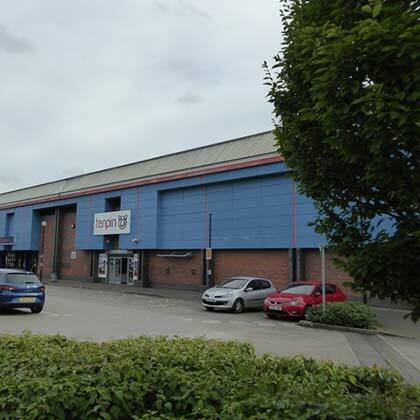 Plus nearby Halfords, Harveys, KFC and McDonalds. 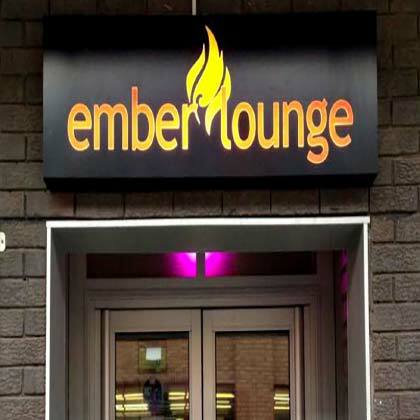 Ember Lounge is Staffordshire University Students' Union primary food and drink venue. Located next to The Union Shop and is open weekdays from 9am until late, and weekends 12 noon until late. 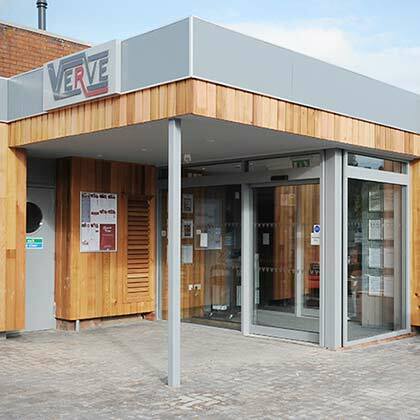 Verve offers students a great place to relax and enjoy freshly cooked food to order and the tastiest and creamiest milkshakes. 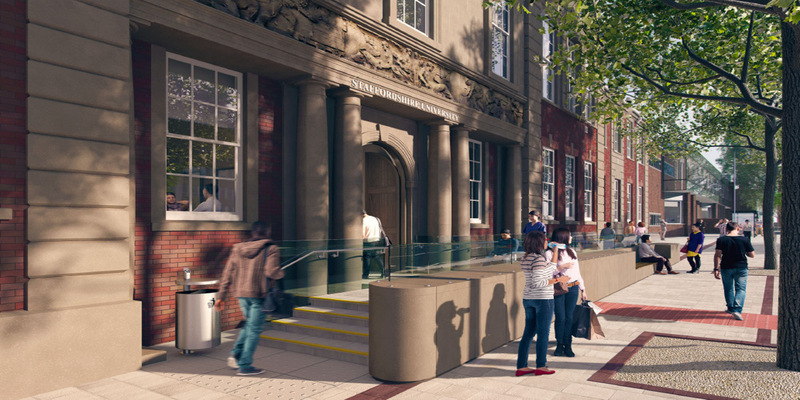 Situated on Leek Road campus. 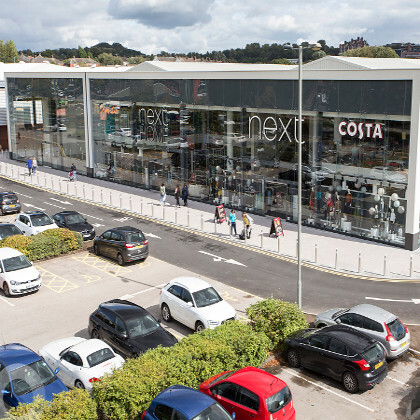 The Hive, intu Potteries new leisure development comprising seven restaurants including; Nando's, Chiquito, Gourmet Burger Kitchen, Frankie & Benny's, Pizza Express, Bon Pan Asian, Coast to Coast. A nine screen cinema located in Hanley city centre. 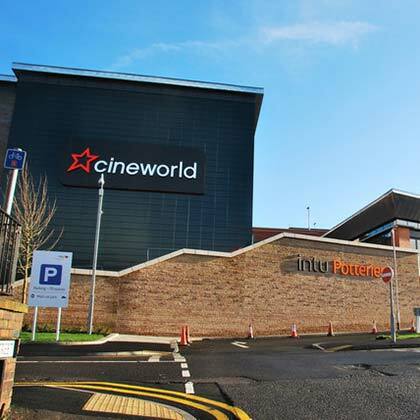 The cinema is within the new extension of the Intu Potteries Centre and includes a Baskin Robbins. Alton Towers, is a theme park resort located in Staffordshire. 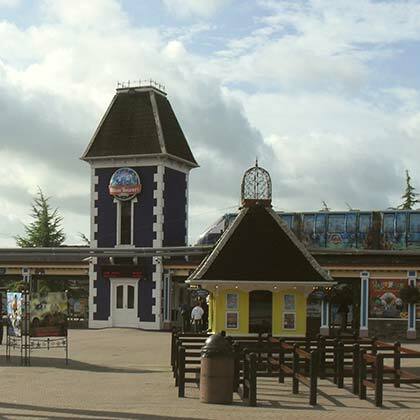 The resort, which is operated by Merlin Entertainments Group, incorporates a theme park, water park, mini golf and hotel complex. When it comes to bowling at Stoke, we're the experts. At Tenpin you'll find plenty of lanes where you can show off your strike to your friends, family or colleagues. 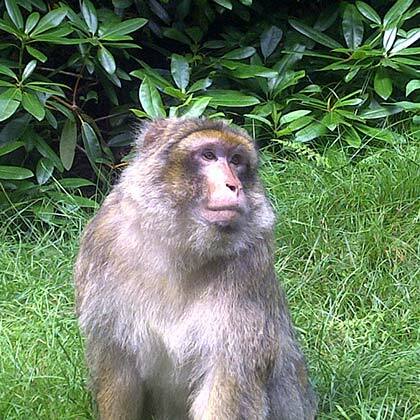 Monkey Forest is unique in the UK, the only place you can walk amongst 140 Barbary macaques! Set in a beautiful Staffordshire woodland, the forest is home to 140 free-roaming monkeys. 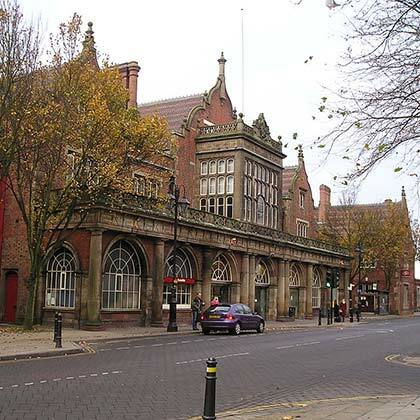 Conveniently situated within 2 minutes’ walk of Stoke-on-Trent railway station, the campus is served by frequent direct services from national rail operators. 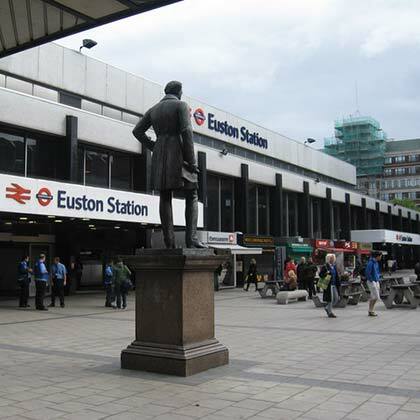 London Euston is the sixth busiest railway station in Britain, the southern terminus of the West Coast Mainline and the busiest passenger route in Britain. Travel time to London 90 minutes. 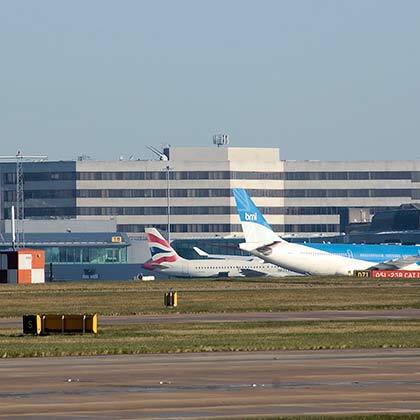 Being in the centre of the UK, we are within easy reach of a number of airports. Manchester Airport is 50 minutes by car or 75 minutes by train. East Midlands Airport is around 55 minutes’ drive. Birmingham Airport is approximately 60 minutes away by car. One off fee each year of 50% of the advertised first months full rent per tenant (we will find you the tenants / viewings / set up contract). We launched our brand new web site with full property search functions, book viewings. More to come, keep up to date on socials. Find your perfect place for September, come and see us at Green Pad where we can help you find somewhere to call home!.